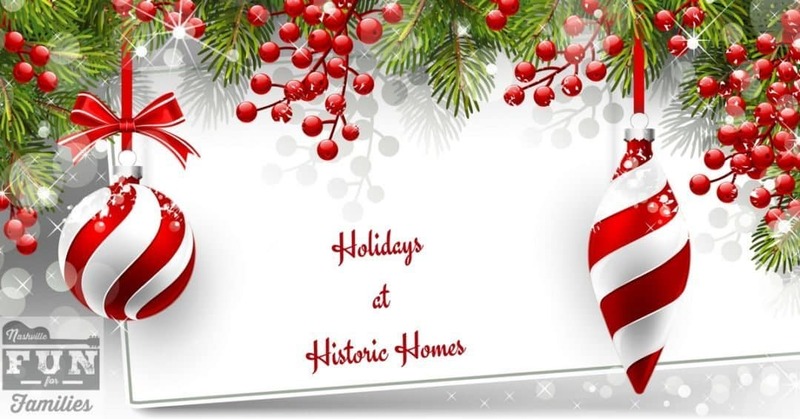 Celebrate the Holidays at Historic Homes in Nashville! 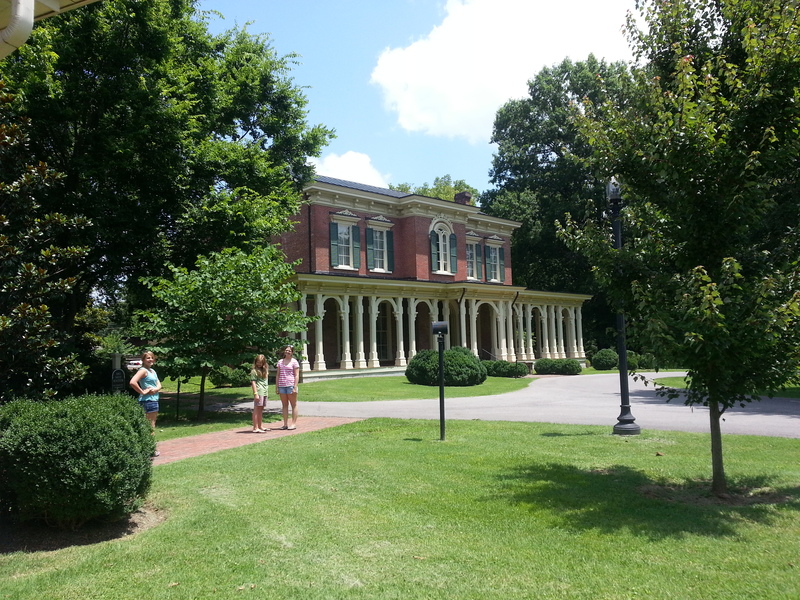 The holiday season is a great time to visit one of Middle Tennessee’s many historic homes. Most of you know that I drag my kids to tour old houses everywhere I go! There are so many interesting things to see and learn. I never get tired of it. During the holidays, most of these historic homes put up lavish decorations.This is basically my favorite thing ever. I get all kinds of ideas to decorate my own home and, at the same time, I get the kids out of the house for an afternoon during their (far too long) school break. If you have out of town guests, definitely put a couple of these tours on your agenda. Another plus is that these tours are rarely crowded so they are a great way to escape the hustle and bustle of other holiday attractions. 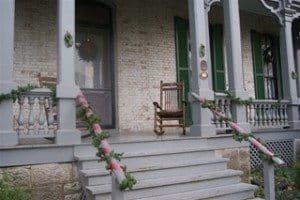 Belle Meade Plantation will be decorated throughout the holiday season. Daily 9AM – 5PM Tours start at 9:30A.M. Last tour starts daily at 4:00P.M. November 8th, 5-8pm: A free event open to the public. Self-guided tours will be available at the Tennessee Residence during the dates and times indicated on the event sign up page as well as on our website. You must sign up for a tour time to attend the open house. Parking will be provided from a nearby church parking lot at Woodmont Hills Church, 3710 Franklin Rd, Nashville, TN 37204 and guests will be shuttled onto the Tennessee Residence property for tours. Please check our website for more information. 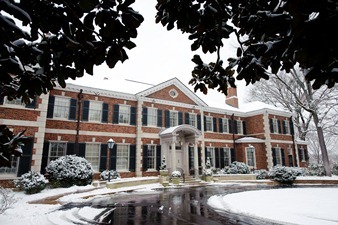 For assistance registering for a tour or for any questions you may have about Tennessee’s Home for the Holidays, please contact the Office of the First Lady by emailing Crissy.Haslam@tn.gov or calling 615-741-7846. Tickets are free but must be purchased in advance via this link. 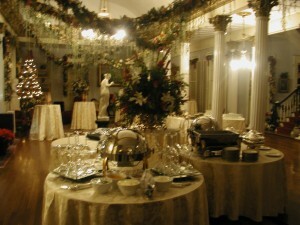 The holiday season is a particularly wonderful time to visit Belmont Mansion. Each year, Belmont is magnificently decorated in complete yuletide splendor. In 2007, Southern Living noted that each year “this mansion is transformed into a Victorian Christmas Fantasyland.” This is the perfect time to get a little Christmas cheer. Christmas shines at Belmont Mansion. November 17th through January 2nd, the mansion is gloriously decorated to celebrate the season and welcome our visitors. Buy your tickets now to ensure a tour time that fits your group’s schedule. Several special Holiday Events are scheduled in 2018. Find a complete list at this link. Tickets may be purchased at any home on the tour or at Oaklands Historic House Museum. Tickets available online via this link. Bring your family and friends to tour the 1784 Historic Rock Castle this holiday season and enjoy a taste of Christmas from a bygone era as we open our doors and our hearts to our supporters and friends, old and new. Rock Castle will be decked out for the holidays in all its splendor! • Refreshments, crafts, and a special appearance by Santa Claus! Parking for Yulefest is available at the Visitor’s Center and in Moss-Wright Park. Where can I find the dates for Christmas home tours in Nashville in 2019. Those dates will be released closer to Christmas. We will have all the details in the fall.